Learning from Korat, Thailand. The Route on PPP keeps moving. After studying the experiences from centre Thailand this multicultural group of practitioners moves to Isaan, the North-East region of Thailand. Most of the rural poor concentrate here. And some interested people and institutions are trying hard to do something about that now. Here some points that we got to understand. The combination of agricultural innovations and organic farming to produce healthy food is the premise of Siam Organic Company. Originally created in 2011 as a social business plan, Siam Organic aims to get rid of cycle of poverty among Thai small-scale farmers by promoting the production of high quality organic rice. The Company is based in Isaan Province, the poorest region of Thailand, and it counts with the close partnership of the Bank for Agriculture and Agricultural Cooperatives (BAAC) and Kasetsart University (KU). 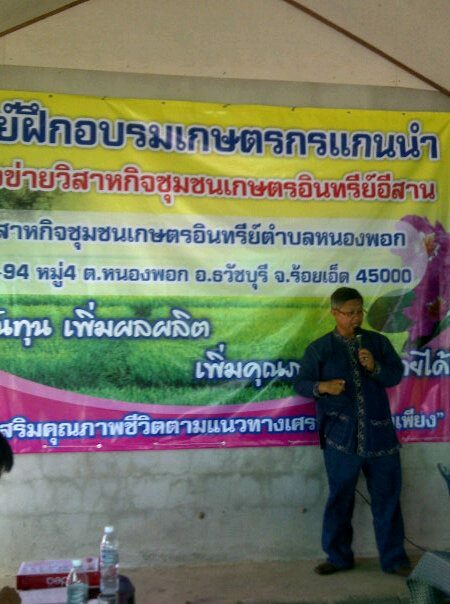 In the frame of this partnership, Siam Organic works with farmer groups to strengthen their capacity in management and improving quality of life for their members. 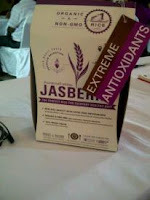 Thanks to the close work with Kasetsart University (KU), Siam Organic has identified a new variety of rice, Jasberry™, with extremely high antioxidants and low Glycemic Index. This rice is now being grown organically by 100% small-scale farmers. With a new rice variety and EU & USDA certified organic farming standards, local farmers have currently access to completely new market from both the product and geographical standpoint. The improvement of environmental conservation through Village Development Banks is one of the innovations promoted by the Population and Community Development Association (PDA). PDA’s most innovative types of environmental conservation activities focuses on reforestation; each community generates money for a Village Development Bank by planting trees. For each tree planted, a small amount of money (approximately 40 Baht or $1.25) is put into a central revolving fund to facilitate micro loans to rural people who do not have enough collateral for a commercial bank loan. Profits in the Village Bank go towards community development activities focussing on forest conservation and regeneration of degraded areas. Only a few days to go and many learning still to digest. The discussion rhythm is increasing rapidly, the common debate turns around two issues: scaling up strategies that suites the specific country settings and that target the rural poor. Tomorrow is time to return to Bangkok and focus on the design of the Innovation Plans.